The availability of technological resources for designing animations opens new possibilities for teacher education. However, there are limited examples illustrating the process of designing and writing stories that can be shown with animations or staged video in relation to specific teacher education goals. We use the case of a professional development that intended to increase teacher noticing of students’ prior knowledge to illustrate a three-stage process for creating stories of classroom instruction that were shown as animations. We explain the design principles guiding our decisions. The stories drew upon a theoretical framework to model students’ conceptions to make student thinking visible for teachers’ discussion. Excerpts from a study group session with geometry teachers illustrate how the discussion of the stories promoted teacher noticing of students’ prior knowledge. Overall, stories of instruction are useful representations of teaching that can promote opportunities for teachers to notice student thinking and promote their ability to make in-the-moment decisions considering students’ ideas. Gonzalez, G. & DeJarnette, A. (2018). Design Perspectives for Making Animated Stories of Instruction: The Case of Promoting Teacher Noticing of Students’ Prior Knowledge. Journal of Technology and Teacher Education, 26 (1), 79-102. Waynesville, NC USA: Society for Information Technology & Teacher Education. Retrieved April 25, 2019 from https://www.learntechlib.org/primary/p/181129/. Aaron, W.R., & Herbst, P. (2013). Students’ imagination of alternative courses of action within an instructional episode. In M. Martinez& A. Castro-Superfine (Eds. ), Proceedings of the 35th annual meeting of the North American Chapter of the International Group for the Psychology of Mathematics Education (P. 906). Chicago, IL: University of Illinois at Chicago. Aaron, W.R., & Herbst, P. (2015). Teachers’ perceptions of students’ mathematical work while making conjectures: An examination of teacher discussions of an animated geometry classroom scenario. International Journal of STEM Education, 2(10), 1-13. Bailey, B., Tettegah, S., & Bradley, T. (2006). Clover: Connecting technology and character education using personally-constructed animated vignettes. Interacting with computers, 18, 793-819. Balacheff, N., & Gaudin, N. (2002). Students’ conceptions: An introduction to a formal characterization. Cahier Leibniz, 65, 1-21. Balacheff, N., & Gaudin, N. (2010). Modeling students’ conceptions: The case of function. CBMS Issues in Mathematics Education, 16, 207-234. Ball, D.L., & Cohen, D.K. (1999). Developing practice, developing practitioners: Toward a practice-based theory of professional education. In G. Sykes and L. Darling-Hammond (Eds. ), Teaching as the learning profession: Handbook of policy and practice (pp. 3-32). San Francisco: Jossey-Bass. Barnett, C. (1998). Mathematics teaching cases as catalyst for informed strategic inquiry. Teaching and Teacher Education, 14(1), 81-93. Ball, D.L. (1993). With an eye on the mathematical horizon: Dilemmas of teaching elementary school mathematics. The Elementary School Journal, 93(4), 373-397. Bruner, J. (1985). Narrative and paradigmatic modes of thought. Learning and teaching the ways of knowing, 84, 97-115. Carraher, T.N., Carraher, D.W., & Schliemann, A.D. (1985). Mathematics in the streets and in the schools. British Journal of Developmental Psychology, 3, 21-29. Carter, K. (1993). The place of story in the study of teaching and teacher education. Educational Researcher, 22(1), 5-12, 18. Chazan, D., & Ball, D.L. (1999). Beyond being told not to tell. For the Learning of Mathematics, 19(2), 2-10. Designing Animated Stories of Instruction depicting and discussing teaching. For the Learning of Mathematics, 33(1), 9-13. Chazan, D., & Herbst, P. (2012). Animations of classroom interaction: Expanding the boundaries of video records of practice. Teachers College Record, 114(3). Chazan, D., Sela, H., & Herbst, P. (2012). Is the role of equations in the doing of word problems in school algebra changing? Initial indications from teacher study groups. Cognition and Instruction, 30(1), 1-38. Chen, C. (2012). Learning to teach from anticipating lessons through comic-based approximations of practice (Unpublished doctoral dissertation). The University of Michigan, Ann Arbor. Chieu, V.M., Herbst, P., & Weiss, M. (2011). Effect of an animated classroom story embedded in online discussion on helping mathematics teachers learn to notice. Journal of the Learning Sciences, 20(4), 589-624. Christensen, R., Knezek, G., Tyler-Wood, T., & Gibson, D. (2011). SimSchool: A dynamic simulator for enhancing teacher preparation. International Journal of Learning Technology, 6(2), 201-220. Cohen, D.K. (2011). Teaching and its predicaments. Cambridge, MA: Harvard University Press. Cox, D.C., Lo, J.J., & Mingus, T. (2007). Low achieving middle school students’ conceptions of same shape. In T. Lamberg & L.R. Wiest (Eds. ), Proceedings of the 29th annual meeting of the North American Chapter of the International Group for the Psychology of Mathematics Education (pp. 130-132). Stateline, NV: University of Nevada, Reno. Crockett, M. (2002). Inquiry as professional development: Creating dilemmas through teachers’ work. Teaching and Teacher Education, 18, 609-624. De Araujo, Z., Amador, J., Estapa, A., Weston, T., Aming-Attai, R., & Kosko, K.W. (2015). Animating preservice teachers’ noticing. Mathematics Teacher Education and Development, 17(2), 25-44. DeJarnette, A.F., & González, G. (2017). Geometry students’ arguments about a 1-point perspective drawing. REDIMAT, 6(1), 7–32. DeJarnette, A.F., González, G., Deal, J.T., Rosado Lausell, S.L. (2016). Students’ conceptions of reflective symmetry: Opportunities for making connections with perpendicular bisector. Journal of Mathematical Behavior, 43, 35–52. Dochy, F., Segers, M., & Buehl, M. (1999). The relation between assessment practices and outcomes of studies: The case of research on prior knowledge. Review of Educational Research, 69(2), 145-186. Doyle, W. (1997). Heard any really good stories lately? A critique of the critics of narrative in educational research. Teaching and Teacher Education, 13(1), 93-99. Drake, C., Land, T.J., Bartell, T.G., Aguirre, J.M., Foote, M.Q., McDuffie, A.R., & Turner, E.E. (2015). Three strategies for opening curriculum spaces. Teaching Children Mathematics, 21(6), 346-353. Earnest, D. & Amador, J.M. (2017). Lesson planimation: prospective elementary teachers’ interactions with mathematics curriculum. Journal of Mathematics Teacher Education. Https://doi.org/10.1007/s10857-017-9374-2Fenstermacher,G.D. (1994).Theknower and the known: The nature of knowledge in research on teaching. Review of Research in Education, 20, 3-56. Fernandez, C. (2002). Learning from Japanese approaches to PD: The case of lesson study. Journal of Teacher Education, 53(5), 393-405. Franke, M.L., Carpenter, T., Fennema, E., Ansell, E., & Behrend, J. (1998). Understanding teachers’ self-sustaining generative change in the context of professional development. Teaching and Teacher Education, 14(1), 67-80. Friesen, M., & Kuntze, S. (2018). Competence assessment with representations of practice in text, comic and video format. In O. Buchbinder & S. Kuntze (Eds. ), Mathematics teachers engaging with representations of practice (pp. 113-130). ICME-13 Monograms. Springer, Cham. González, G., & Deal, J.T. (2017). Using a creativity framework to promote teacher learning in Lesson Study. Thinking Skills and Creativity. .& Skultety, L. (2016). Facilitating teacher learning when using different representations of teaching. Journal of Teacher Education, 67(5), 447-466. González, G., DeJarnette, A.F., & Deal, J.T. (2014). Assessing and using students’ prior knowledge in problem-based instruction. New England Mathematics Journal, XLVI, 38-49. González, N., Andrade, R., Civil, M., & Moll, L. (2001). Bridging funds of distributed knowledge: Creating zones of practices in mathematics. Journal of Education for Students Placed at Risk, 6(1), 115-132. Herbst, P., & Chazan, D. (2006). Producing a viable story of geometry instruction: What kind of representation calls forth teachers’ practical rationality? In S. Alatorre, J.L. Cortina, J. Sáiz, & A. Méndez (Eds. ), Proceedings of the Twenty Eighth Annual Meeting of the North American Chapter of the International Group for the Psychology of Mathematics Education (Vol. 2, pp. 213-220). Mérida, México: Universidad Pedagógica Nacional. Herbst, P., & Chazan, D. (2011). Research on practical rationality: Studying the justification of action in mathematics teaching. The Mathematics Enthusiast, 8(3), 405-462. Herbst, P., Chazan, D., Chen, C.L., Chieu, V.M., & Weiss, M. (2011). Using comics-based representations of teaching, and technology, to bring practice to teacher education courses. ZDM, 43, 91-103. Herbst, P., Chazan, D., Chieu, V.M., Milewski, A., Kosko, K., & Aaron, W. (2016). Technology-mediated mathematics teacher development: Research on digital pedagogies of practice. In M. Niess, K. Hollebrands, & S. Driskell (Eds. ), Handbook of Research on Transforming Mathematics Teacher Education in the Digital Age (pp. 78-106). Hershey, PA: IGI Global. Herbst, P., Chieu, V.M., & Rougee, A. (2014). Approximating the practice of mathematics teaching: What learning can web-based, multimedia storyboarding software enable? Contemporary Issues in Technology and Teacher Education, 14(4), 356–383. Herbst, P., & Kosko, K. (2014). Using representations of practice to elicit mathematics teachers’ tacit knowledge of practice: a comparison of responses to animations and videos. Journal of Mathematics Teacher Education, 17, 515-537. Herbst, P., & Miyakawa, T. (2008). When, how, and why prove theorems? A methodology for studying the perspective of geometry teachers. ZDM, 40(3), 469-486. Herbst, P., Nachlieli, T., & Chazan, D. (2011). Studying the practical rationality of mathematics teaching: What goes into “installing” a theorem in geometry? Cognition and Instruction, 29(2), 218-255. Hiebert, J., Gallimore, R., & Stigler, J.W. (2002). A knowledge base for the teaching profession: What would it look like and how can we get one? Educational Researcher, 31(5), 3-15. Jackson, K., Shahan, E., Gibbons, L., & Cobb, P. (2012). Launching complex tasks. Mathematics Teaching in the Middle School, 18(1), 24-29. Kelley, T. (2005). The ten faces of innovation: IDEO strategies for defeating the devil’s advocate and driving creativity throughout your organization. New York, NY: Currency/Doubleday. Kennedy, M.M. (1997). The connection between research and practice. Educational Researcher, 26(7), 4-12. König, J., Blömeke, S., Klein, P., Suhl, U., Busse, A., & Kaiser, G. (2014). Is teachers’ general pedagogical knowledge a premise for noticing and interpreting classroom situations? A video-based assessment approach. Teaching and Teacher Education, 38, 76-88. Lampert, M. (2001). Teaching problems and the problems of teaching. Yale University Press. Lappan, G., Fey, J., Fitzgerald, W., Friel, S., & Phillips, E. (1998). The connected mathematics project. Palo Alto, CA: Dale Seymour Publications. Lave, J. (2010). Math lessons from Liberia. Anthropological Theory, 10(1-2), 186-191. Lewis, C., Perry, R., & Murata, A. (2006). How should research contribute to instructional improvement? The case of lesson study. Educational Researcher, 35(3), 3-14. Lubienski, S.T., & Crockett, M. (2007). NAEP mathematics achievement and race/ethnicity. In P. Kloosterman and F. Lester (Eds.) Results from the Ninth Mathematics Assessment of NAEP (pp. 227-260). Reston: NCTM. Martin, T.S., & González, G. (2017). Teacher perceptions about value and influence of professional development. In E. Galindo & J. Newton, (Eds. ), Proceedings of the 39th annual meeting of the North American Chapter of the International Group for the Psychology of Mathematics Education (pp. 447-454). Indianapolis, IN: Hoosier Association of Mathematics Teacher Educators. Martínez-Planell, R., Gonzalez, A.C., DiCristina, G., & Acevedo, V. (2012). Students’ conception of infinite series. Educational Studies in Mathematics, 81(2), 235–249. Mason, J., & Davis, B. (2013). The importance of teachers’ mathematical awareness for in-the-moment pedagogy. Canadian Journal of Science, Mathematics, and Technology Education, 13(2), 182-197. Merseth, K.K. (1991). The case for cases in teacher education. AACTE Publications, One Dupont Circle, Suite 610, Washington, DC 20036-2412. Miyakawa, T. (2004). Reflective symmetry in constructions and proving. In M.J. Høines & A.B. Fuglestad (Eds.) Proceedings of the 28th Conference of the International Group for the Psychology of Mathematics Education: Vol. 3 (pp. 337–344). Bergen, Norway. Sawyer, K. (2013). Zig zag: The surprising path to greater creativity. John Wiley& Sons. Seago, N., Mumme, J., & Branca, N. (2004). Learning and teaching linear functions video cases for mathematics professional development, 6-10. Heinemann; San Diego University Foundation [prod.]. Sherin, M.G., & Van Es, E.A. (2005). Using video to support teachers’ ability to notice classroom interactions. 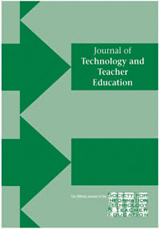 Journal of Technology and Teacher Education, 13(3), 475-491. Sherin, M.G., & Van Es, E.A. (2009). Effects of video club participation on teachers’ professional vision. Journal of Teacher Education, 60, 20-37. Skultety, L., González, G., & Vargas, G. (2017). Using technology to support teachers’ lesson adaptations during Lesson Study. Journal of Technology and Teacher Education, 25(2), 5-33. Stein, M.K., Smith, M.S., Henningsen, M.A., & Silver, E.A. (2009). Implementing standards-based mathematics instruction: A casebook for professional development (2nd Ed.). Teachers College Press. Tate, W. (1994). Race, retrenchment, and the reform of school mathematics. Phi Delta Kappan, 75(6), 477-480, 482-484. Turner, E., Drake, C., McDuffie, A., Aguirre, J.M., Bartell, T.J., & Foote, M.Q. (2012). Promoting equity in mathematics teacher preparation: A framework for advancing teacher learning of children’s multiple mathematics knowledge bases. Journal of Mathematics Teacher Education, 15(1), 67-82.